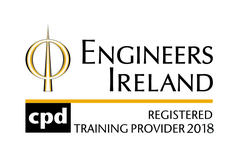 We are the one of the largest providers of Thermal Imaging Training in Ireland. We deliver 1 Day Introduction to Thermography Courses in Portlaoise, Level 1 Thermal Imaging Training in Cloughjordan and Level 2 Thermal Imaging Training in Portlaoise. Our Thermal Imaging Training Courses are provided by highly qualified training instructors with over 30 years of experience in Thermography. Our Trainers can provide on-site training at your premise (depending on number of attendees). Our superior customer support is one of the reasons that we are considered a leader in our field. Take a look at some of our Thermal Imaging Training Testimonials. 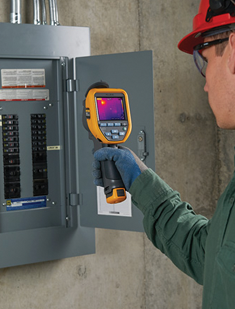 We provide training on all models of Fluke and FLIR Thermal Cameras. We have been providing IR Cameras and IR Training in Ireland since 1996. We are the authorised Irish distributors for the leading brands such as Fluke and FLIR. Our Thermography Training Courses have been assessed by the National Standards Authority of Ireland (NSAI), and deemed to comply with the provisions of the standard Quality Management System I.S. EN ISO 9001:2015.